New York, New York, May 9, 2018 – At this year’s east coast gathering of streaming media experts, Professor Zhou Wang, Chief Science Officer at SSIMWAVE™ had the opportunity to sit on a panel with Anne Aaron, Director of Video Algorithms at Netflix, and Scott Labrozzi, Senior Principal Engineer/VP Video Processing at BAMTECH Media. The group’s panel, “Best Practices for Advanced Software Encoder Evaluations” was moderated by Tom Vaughan, VP Strategy at Beamr. 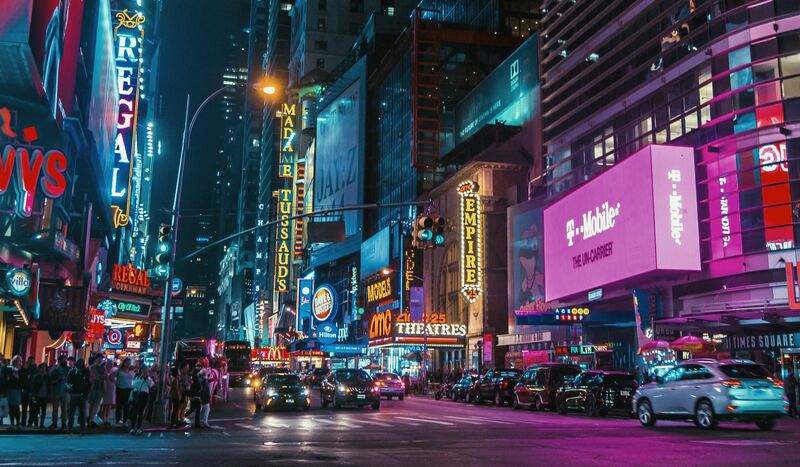 Tom Vaughan – Beamr, Professor Zhou Wang – SSIMWAVE, Scott Labrozzi – BAMTECH Media, and Anne Aaron – Netflix. This is where automated video quality assessments like SSIMPLUS™ and VMAF come into play – to save time and resources. Professor Wang followed the panel discussion with a more in-depth presentation entitled “Per-Title Optimization 2.0” — the most attended Discovery Track talk of the show. During this talk, Wang explained to the audience the details of Per-Title Optimization 1.0. He then continued on to explain the improvements Per-Title Optimization 2.0 provides to the industry and how SSIMWAVE is implementing this with SSIMPLUS. 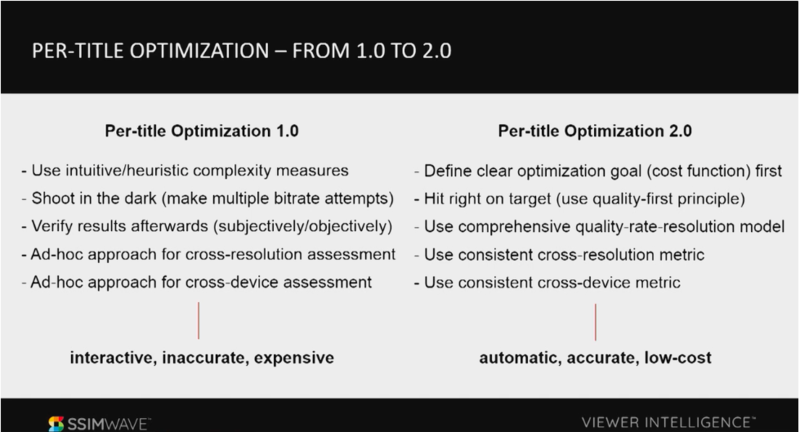 Per-title optimization 2.0 allows users to go from an interactive, inaccurate and expensive solution (per-title optimization 1.0) to an automatic, accurate, low-cost solution. Are you in the business of streaming live and VOD content? We’d love to hear from you and understand your specific use cases. Do not hesitate to reach out. You’ll be glad you did.